Imagine standing at your outdoor grill on a warm summer evening. You’re preparing dinner on the grill while family members enjoy a cool beverage at the bar top overlooking the yard and the kids gather around the dining table. Welcome to your outdoor kitchen. Didn’t think an outdoor kitchen was an option in the Midwest? Think again! Archadeck of Chicagoland has custom designed and built numerous outdoor kitchens, each crafted to meet the specific needs of the client. We may not be able to incorporate every aspect of a traditional kitchen due to the chilly Chicago winters but that doesn’t stop us from creating unique Chicagoland outdoor kitchen designs that bring cooking and dining to your backyard. You may be familiar with the term “California Outdoor Kitchen,” which refers to an outdoor kitchen built in warmer climates and can be enjoyed all year round. These trendy outdoor spaces are quickly gaining popularity in the Midwest – with a few alterations, of course. The typical California Outdoor Kitchen may include details such as polished granite countertops or a sink. 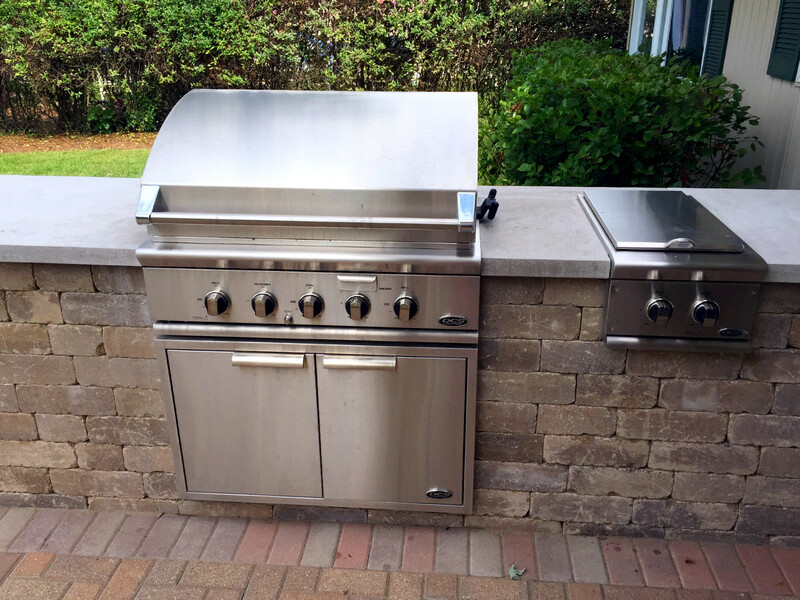 Due to the freeze/thaw cycle of Chicago these are two amenities we would not recommend including, but there are many aspects that we do include in Chicagoland outdoor kitchen designs such as a grill surround (or a built-in grill), limestone countertops, a bar, an outdoor dining table, and more. You might also consider additional details that are not categorized under the theme of “kitchen” that will certainly enhance your outdoor kitchen or living space such as a fire pit, fireplace, shade structure, or shade structure with mosquito curtains, allowing you and your family to cook or dine outdoors during blazing summer days as well and cool fall nights. 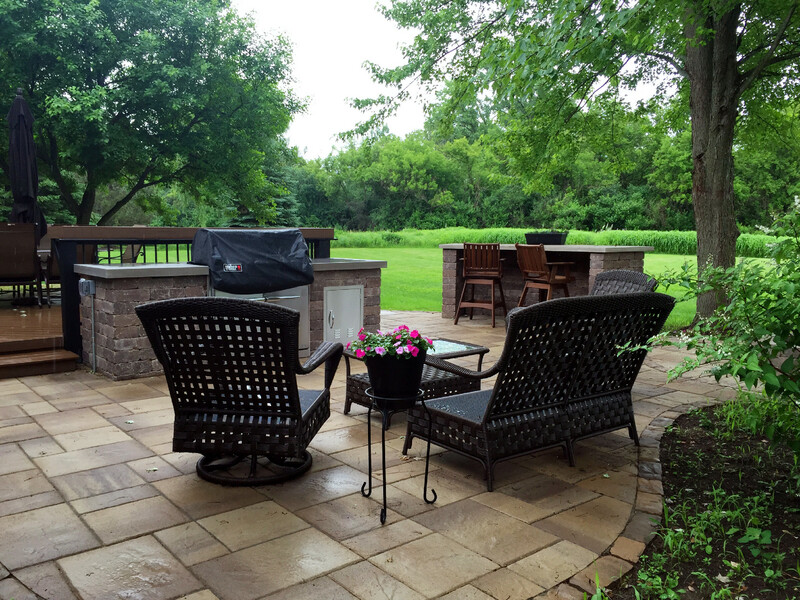 While outdoor kitchens are not the least expensive option for a new outdoor space, it’s worth noting that we at Archadeck pride ourselves on creating designs that within your budget. 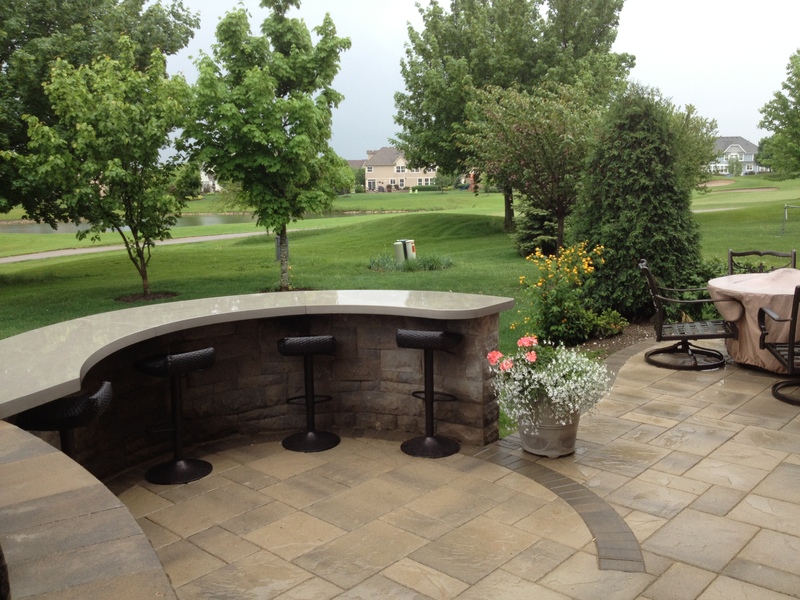 We will customize your Chicagoland outdoor kitchen design to fit your needs while accommodating your budget. This means we can add all of the bells and whistles or create a modest design depending on the amount you are comfortable investing. We want to build a space for you to create memories you and your wallet will both appreciate. 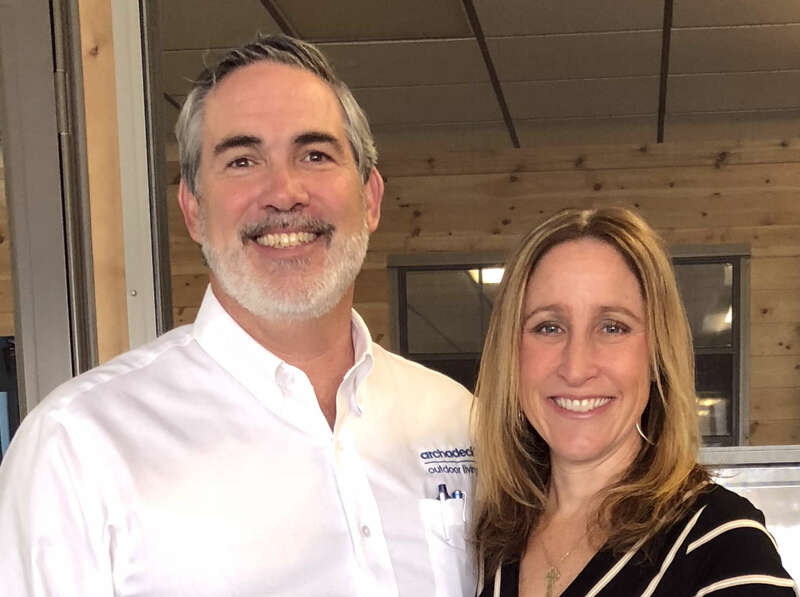 With ‘A’ ratings on Angie’s List and impeccable customer reviews, Archadeck is sure to build a quality Chicagoland outdoor kitchen for you and your family to enjoy for years to come. If you are considering an outdoor kitchen or other outdoor living space, we would love to hear from you! You may sign up for a Free Design Consultation. or give us a call at (847) 496.4333.